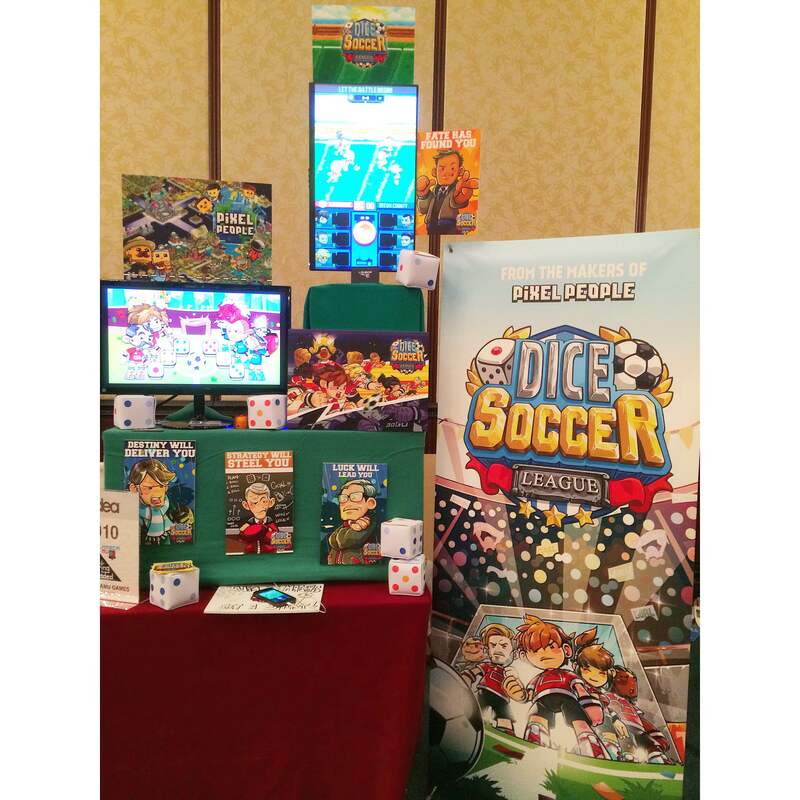 Amidst all the free flow coffee, tea and indie game booths at Casual Connect Asia 2015, we folks at LambdaMu Games had our own display booth at the IDEAS showcase section to show a demo of Dice Soccer League. And of course, a demo of what we’ve been working on for the past few months. While retaining the core game mechanic, we’re looking to revamp our 2011 title ‘Dice Soccer’ by injecting an epic new storyline, introducing mysterious (and rather suspicious) characters and inventing brand new collectible star players complete with explosive abilities to boot. For those who stopped by our booth to try out the demo, we thank you for your valuable feedback!